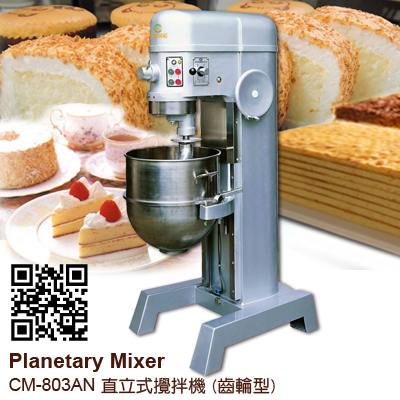 CHANMAG CM-803AN Planetary Mixer is ideal to produce pastry products such as creams, batters, light paste and other sophisticated desserts to mix the dough in the planets rotation direction with even and homogenous mixing performance. It is made from super hardened alloy steel, based on excellent die-casting technology and non-dust paint coated finish is easy cleaning. It’s durable and quiet during running. 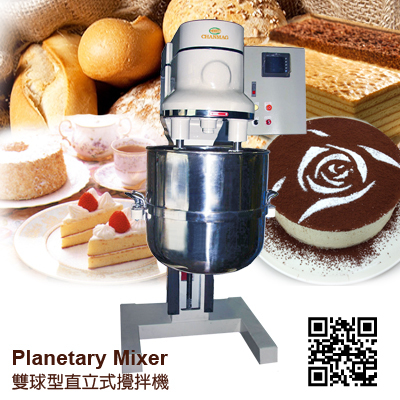 Various types of planetary mixers are suitable for small and large productive bakeries, pastry units and other food service operations. 1. High-quality steel construction firm designed durable gear, and electromagnetic control switch. 2. Timing device, automatic rise-and-fall & fourth-shifting. 3. Stirring uniform, Low noise. 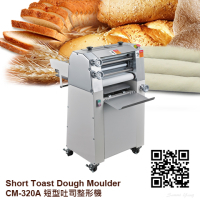 Dough Hook: Hardened ingredients purpose, such as heavy dough, bread, etc. 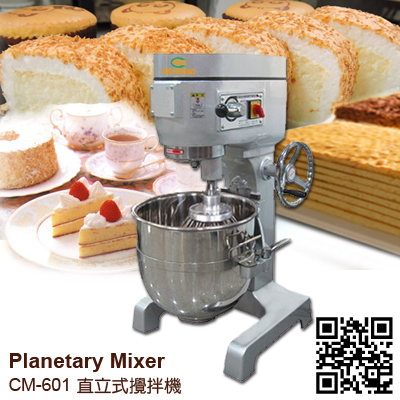 Flat Beater: Ingredients purpose, mixing light paste, meat paste, filling, etc. 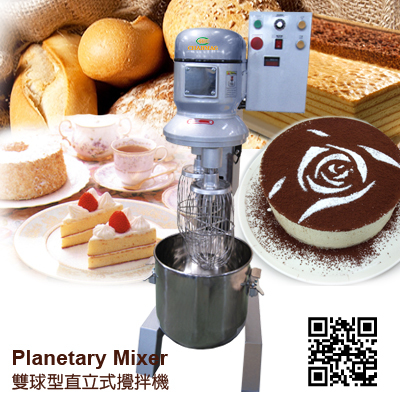 Wire Whip: Lighter and softer ingredients, suitable for cake, salad, butter, etc. 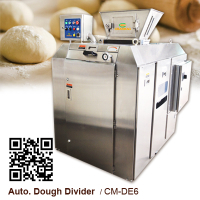 Speed 1(low): For heavy mixtures like dough, heavy batter and potatoes. 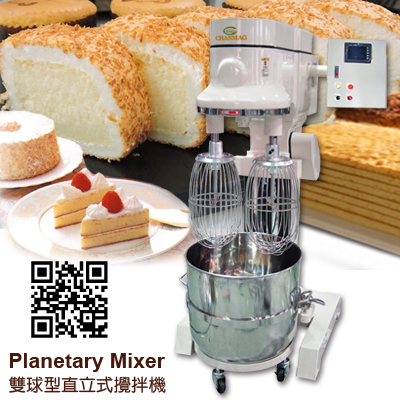 Speed 2(medium-low) : For mixing cake batter, mashing potatoes and for developing dough. Speed 3(medium-high): For mixing maximum incorporation of air into light batches. 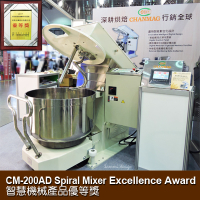 Speed 4(high): For accelerated mixing maximum air incorporation into light batches, similar to speed 3.